Description: Super cute highlands remodel complete with 600 sq ft carriage house with great rental potential. Main home features 3 bedrooms plus study, new carpet, new paint, remodeled bath and kitchen including new counters and stainless steel appliances. Carriage house has a kitchen, living room, loft, bedroom and bath and is a must see. 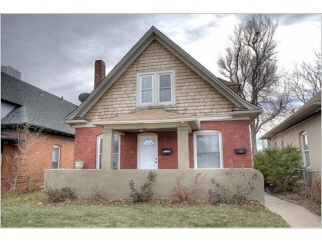 Rented for $700/month with potential to keep that way if you like. Right in the heart of upcoming highlands!